Few things say summer like farm fresh tomatoes. From beefsteak to cherry, grape, heirloom and plum varieties, farmers markets are overflowing with choices. It’s tough choosing a favorite, but if I have to pick one, it’s the sungold variety pictured. A warm, sweet sungold perfectly captures the season in one bite. Look for tomatoes that are richly colored and resist the temptation to put them in the refrigerator with the rest of your produce. Tomatoes are sensitive to cold and it may dull their flavor. Keep them on the counter and only put them in the fridge if they begin to get overripe. Tomatoes are known for the antioxidant lycopene, which has been linked to a possible reduction in the risk of colon and prostate cancers. 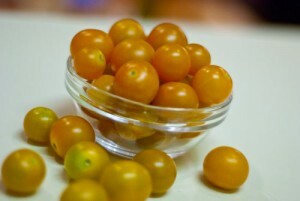 One cup of tomatoes is also a good source of vitamins A, C and K as well as fiber, potassium, folate and even some iron. Tomatoes may also help reduce the risk for heart disease. While tomatoes are typically associated with Italian food, they actually have roots in South America and Mexico. Tomato seeds were brought to Europe by the Spanish explorers and then brought to America with the colonists. Tomatoes were originally thought to be poisonous because they are members of the Nightshade family. As we know, tomatoes themselves aren’t poisonous, but their leaves contain alkaloids and are toxic. 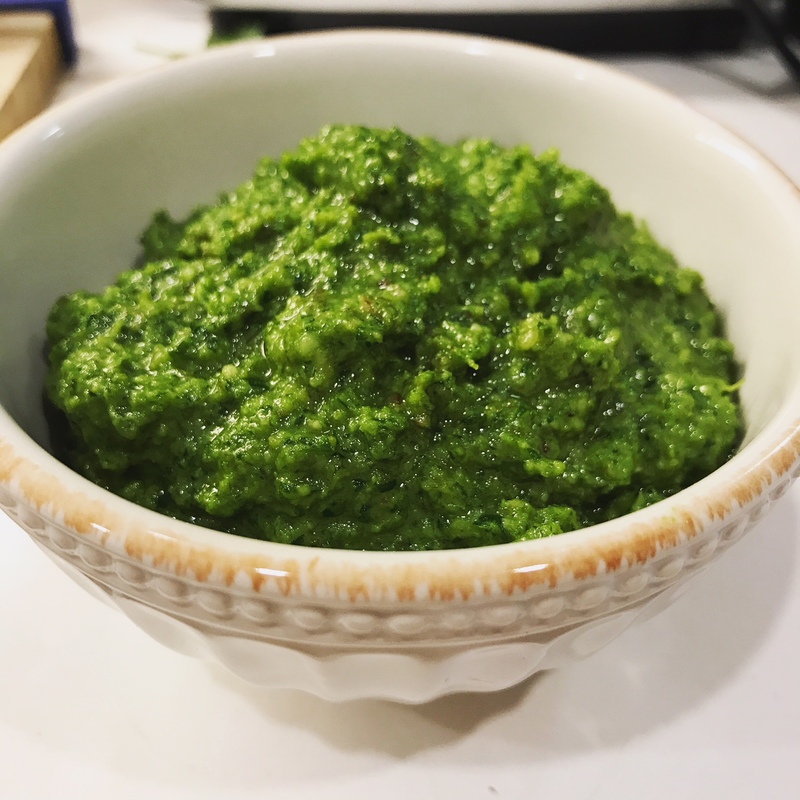 Basil, a quintessentially Italian herb, is also at its summer peak. There are many varieties of basil, including Thai, purple and Lemon. This herb is high in vitamin K and contains essential oils that are thought to have anti-bacterial properties. It is a good source of Vitamin A, in the form of beta-carotene, which is an antioxidant, and contains magnesium, which benefits heart health by helping blood vessels relax. Along with these nutrients, basil is also a source of vitamin C, iron and calcium. Store basil for up to 4 days in the refrigerator by wrapping the leaves in damp paper towels and placing them in a plastic bag. Don’t wash the leaves until you are ready to use them! Bruschetta – This tomato and basil combination is a perfect appetizer. This recipe calls for roasting the tomatoes, but they would also be delicious raw. What are some of your favorite tomato and/or basil recipes?